Felix Hoffmann was born in 1972. He studied Art History and Cultural Studies in Vienna and Berlin, graduating with his work on the relationship between “Photography and Death”. He worked at Fotomuseum in Munich, Kupferstich-Kabinett in Dresden, and Museum Folkwang in Essen as part of the “Museumskuratoren für Fotografie” of the Alfred Krupp von Bohlen und Halbach Stiftung. 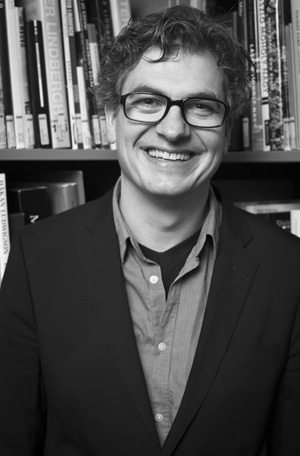 Since 2005 Felix Hoffmann works for C/O Berlin Foundation as chief curator, where he is responsible for exhibitions, accompanying programmes and strategy. As a private institution there is a constant pressure to provide and develop a discerning programme and profile, which is simultaneously commercially successful. With passion, curiosity, and a talent for improvisation he has brought C/O Berlin from being an idealistic project to an internationally renowned institution characterised by his idea that “photography and moving pictures will become the dominating medium of the 21 Century”. For Felix Hoffmann, photographers are people who question their reality, everyday life, and social environment, and reflect and mirror these in pictures. In turn, they influence reality with their images, as they are visible everywhere in daily life, in magazines, newspapers, photobooks and the internet. In order to learn photography, he believes training the eye to see is paramount, especially through the observation of historic and contemporary photographs, and the analysis of existing visual strategies. Felix Hoffmann has published books and texts, and curated numerous exhibitions including Andres Serrano (2005), Martin Parr (2007), Nan Goldin, Robert Frank (2009), Peter Lindbergh, Robert Mapplethorpe, Gregory Crewdson (2010), Larry Clark and Jörg Sasse (2012), as well as the themed exhibition on the unsettlingly familiar images of terror “Unheimlich Vertraut. Bilder vom Terror” (2011).